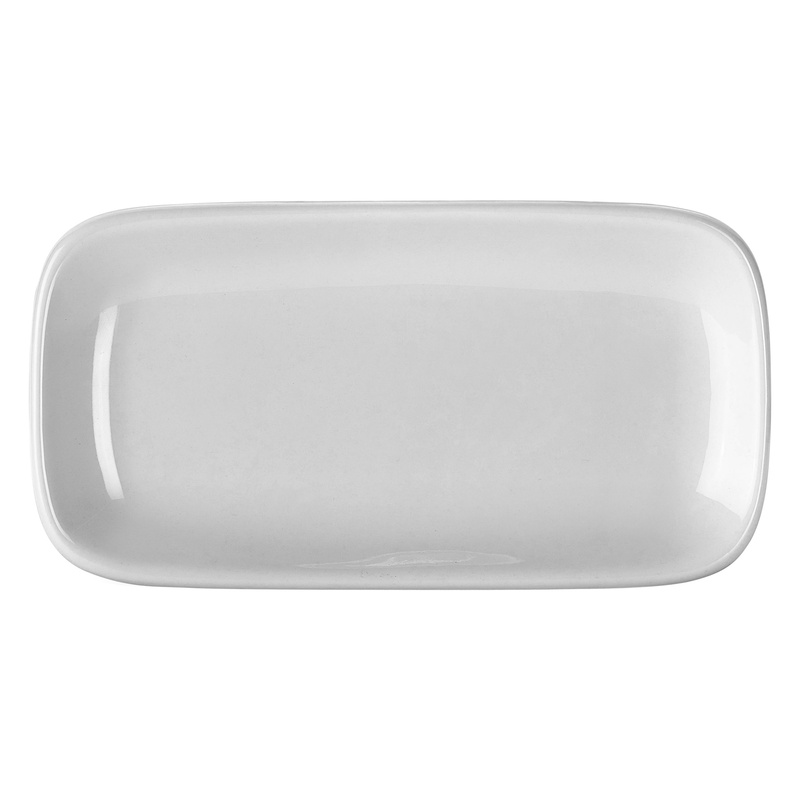 These Royal Genware Rectangular Rounded Edge Plates are the perfect size for serving canapes, appetisers and desserts. They have been made from specially selected clay for a superior white finish, added stain resistance and durability. Their rolled edges help to prevent chipping and they conform to BS4034 for vitrified hotelware making the perfectly suited to high use in commercial settings such as restaurants, hotels and pubs. They are microwave, oven, freezer and dishwasher safe for fuss free food preparation and cleaning.